Our sealed bottom clear plastic tubes are excellent for many types of point-of-purchase and consumer packaging applications including gift packs, toys, bath salts, sporting goods, craft/hobby products or any item that requires a plastic container that will stand out from the crowd. 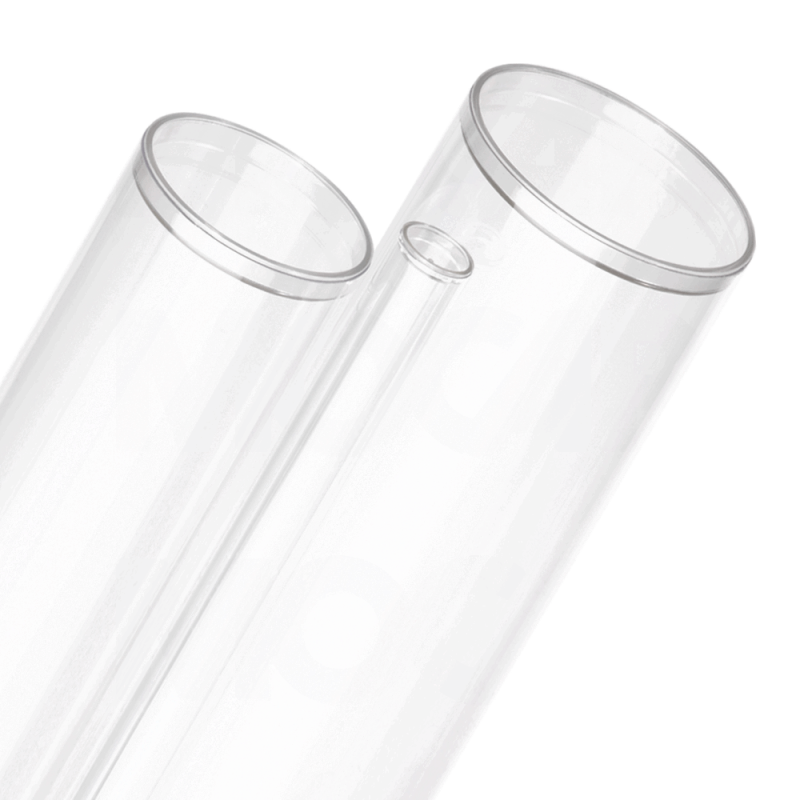 One end of these clear plastic tube are permanently sealed, which provides overall cost savings and reduced labour assembly costs. Our sealed bottom clear plastic tubes are available for Thin Wall Round Tubes.No matter what size or dimension, Cleartec Packaging can supply you with all your clear plastic tubing needs. For more information, see our CSBT Series page. Please Note: The products advertised are empty packaging containers and will not include the items shown packaged in the tubes.